Fabric Hurricane Panels are designed to cover windows, doors, and other home openings and protect against the destructive forces of hurricanes. 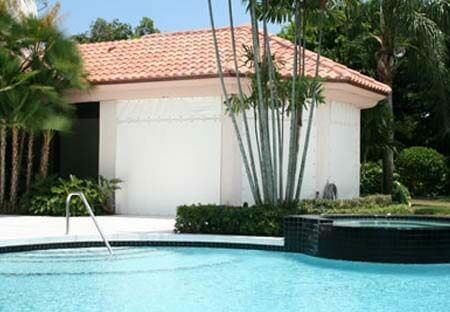 Fabric Hurricane Panels are made of PVC coated fabric that is tested to block wind, rain, and storm-driven projectiles to meet stringent building code requirements. The fabric is a natural translucent white color enabling homeowners to have more light in the house during the day. Lightweight and easy to handle. In fact, they are three to eight times lighter than most metal hurricane panels. Allow for compact storage because they can be rolled up, laid flat or hung up, and they do not have sharp edges that can cause injury. 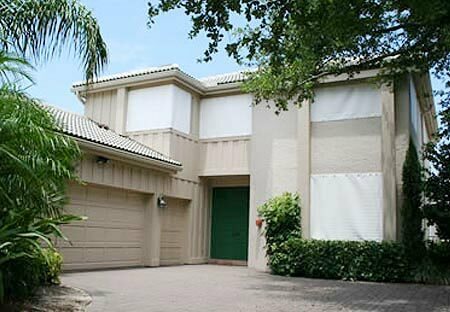 Home Safety Solutions offers professional Fabric Shield Hurricane Panels installation services. Serving Pinellas, Hillsborough, Pasco and Hernando areas. Protecting homes and families from violent weather and hurricanes over 3 decades. Click here to request quote.